A list of metal credit cards: what are your options? Most credit cards are made out of plastic–it’s cheap and resilient, so what’s not to like? But if you want to differentiate yourself from the hoi polloi, metal cards are an easy way to do so. They’re also an expensive way to do so, which is why metal credit cards are for premium products. 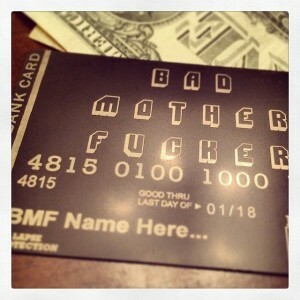 Let’s take a look at the metal credit cards out there. 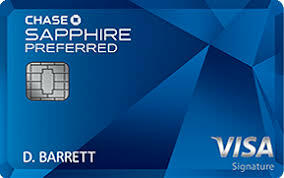 Chase Sapphire Preferred: It’s not Chase Sapphire Preferred week anymore, but still: the CSP is the most famous metal card, the most popular one, as well as the cheapest with an annual fee of $95 (waived the first year). Though I’m obliged to point out that it’s not metallic all the way through–it’s actually metal sandwiched between layers of plastic. Still, it’s got more of a heft than most cards. And let’s not forget it’s high-end counterpart, the Chase Sapphire Reserve. Chase Marriott: Chase does like the metal cards, don’t they? Unfortunately they all come with annual fees. In the case of the Marriott card, the annual fee gets you a “free” category 1-5 room every year, but I don’t think it’s worth it. Chase Ritz Carlton and Chase United Club: We’re not done with Chase yet! They do like their metal credit cards, don’t they? The Chase Ritz Carlton can be a good deal if you snag the 140K offer. Andy has some good posts about this card here and here, while Travel Is Free just put up a solid post on another use of Marriot points you may or may not be familiar with. Oh yeah… that’s palladium and 24K gold you’re looking at. You signature will be laser-etched onto it. But it’s got a $595 annual fee, and even if you’re willing to pay that, you have to have a private banking relationship with Chase, which would apparently involve at least $250K in assets. The benefits aren’t great: 2 Ultimate Rewards points per dollar spent on travel, 1 point everywhere else. There’s also a 35,000-point bonus if you spend $100,000, plus the requisite concierge (reputedly quite good) and some other benefits. Amazon Prime Rewards card: Metal cards tend to be high-end products since it’s expensive to make metal credit cards (and to replace them when you lose them or the number gets stolen). If you want a metal card without an annual fee, give this one a look. U.S. Bank Altitude Reserve: U.S. Bank’s 2017 entry into an increasingly crowded premium travel card market, it has some decent benefits plus a good sign-up bonus that can make it worth signing up for a year. MasterCard Black Card: Issued by Barclays, this was originally the high-end card that nobody cared about since its benefits didn’t match the $495 annual fee. But hey, it was made out of stainless steel. They’re retooled it into a brand called the “Luxury Card”, possibly because Amex sued them for a trademark violation and won. You have three options: titanium, black, and gold, and the gold card may have a bonus big enough to make it worth getting for a year. Amex Centurion: The gold standard of exclusive credit cards, this card is informally known as the black card, thus the lawsuit I just mentioned. It’s made of titanium and boasts an initiation fee of $7,500 plus an annual fee of $2,500 (but they still charge you a $38 late fee if you miss a payment). The card is invitation only. Amex won’t divulge its criteria, but eligibility is apparently based on things like income, spending, and possibly fame. If you’re eligible for the card, they’ll let you know. Amex Platinum: Much more attainable than the Centurion, this one still has an annual fee of $550 (recently raised from $450). Those good-for-nothings also nuked the Centurion lounge benefit and made it family-unfriendly. Yes, that’s gold trim on the top and the left with a diamond embedded in the center. 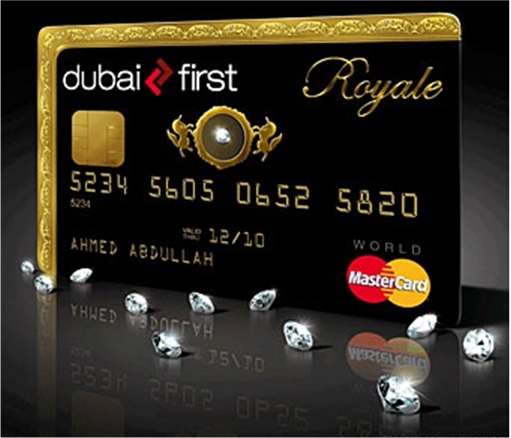 No, there’s no “First Friday” with this card as there is with the Chase Sapphire Preferred. Pure + Solid MasterCard debit card: If you’re a fool with too much money, these cards would be worth looking into. There are platinum, gold, and silver cards, each crafted using their eponymous metals, which is why the Platinum one will set you back $38,690. This would be a great design to do manufactured spending with! What clerk is going to tell you they won’t accept a card like that? The downside is that if your credit card number happens to get stolen, you’ll have to pay $149 for a new card. That’s all I’m aware of… did I leave any out? Welcome back to Chase Sapphire Preferred week! Dwayne Barrett, or “D” as he’s known to his friends, is known to Chase Sapphire Preferred fanboys everywhere as the latest “Guy Whose Name Appears on the Card in Advertisements”. Formerly a mild-mannered accountant in the Accounts Receivable department at Midstate Office Supply, he was plucked from obscurity to become the biggest name in the world of personal finance. We recently caught up with him for this exclusive interview, his first since taking over from D. Walden last year after Walden’s unfortunate death. Q: Thanks for taking the time to chat with us, D! How has your life changed since being selected as Mr. Chase Sapphire Preferred? A: It’s about what you’d expect–money, women, debauchery. Now that I’m a part of this, I can understand why the last three people to appear on this card died of drug overdoses. I try to stay humble and remember my roots, you know? Stay grounded, that sort of thing. I don’t want to be known as #4. Q: Aside from the fast living, what’s your day-to-day life like? A: Well, let’s address the elephant in the room. Yes, America, the rumors are true: I do indeed have an unlimited supply of Ultimate Rewards points. A: The Park Hyatt Paris-Vendôme? You bet I do! I split time between there and the Park Hyatt Maldives. Q: I cannot imagine a more fulfilling existence. 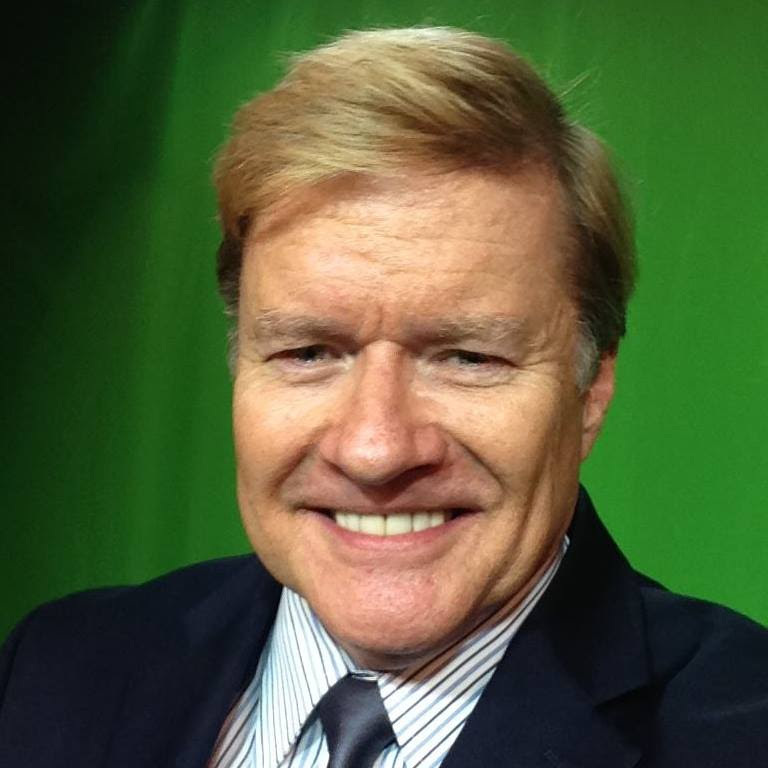 D Barrett, the biggest name in the Chase Sapphire Preferred world! A: It’s better than you can imagine, my friend. You know what’s weird, though? I can exchange my Ultimate Rewards points for Amex Membership Rewards points. A: Seriously. I don’t know why they do this, but apparently if you have the Centurion card you can exchange your MRs for URs. This is the reverse. The high-level executives at Chase and Amex can all do this too. Membership has its privileges! Q: Aside from the excellent perks you receive from the Chase Sapphire Preferred card, do you get extra benefits from people who recognize your famous face and name? A: Definitely, definitely. Sometimes it will be the driver of my Uber Black car staring at me for an extra couple of seconds when I get in the car. Or the stewardess in first class who just smiles when I keep talking on my cell phone when she starts her safety demonstration. It happens pretty much everywhere, but seems to go double at restaurants and travel providers. Q: Do people treat you differently on the first Friday of every month? A: Do they ever! I don’t want to sound ungrateful but… honestly, it’s difficult for me to step foot in a restaurant on the first Friday of any given month. People will literally fight in order to pay for my food and drinks so that they can get that one extra Ultimate Reward point per dollar. Q: Literally? As in fist fights? A: Yes. It’s terrible. The police have been called on more than one occasion. But, you know, it just goes with the territory, I guess. I really can’t complain. Being Mr. Chase Sapphire Preferred is a pretty sweet deal. Chase Sapphire Preferred credit score: how high do you need to be? Welcome back to Chase Sapphire Preferred week! Today’s topic: the Chase Sapphire Preferred credit score conundrum, aka what credit score do you need to get one of these cards? And does it even matter anymore? 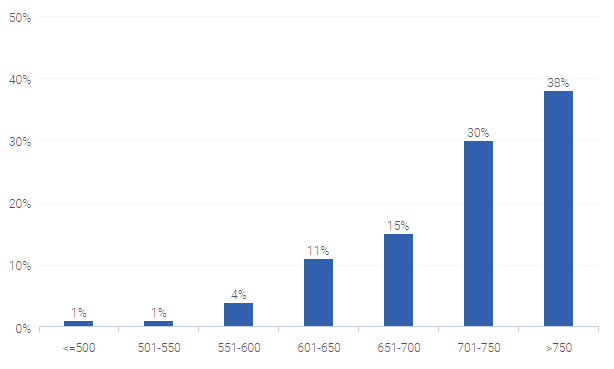 I also went through the comments on that CK page and tallied up the scores for those who said they were approved, and I came up with an average of 712. This obviously isn’t the most scientific method ever, but 712 is actually pretty close to what I’d imagine the midpoint to be based on looking at the graph. If you’re curious, you can also go read the relevant posts in the myFico forums. Of course, there’s more to getting approved for a Chase Sapphire Preferred than just a credit score. As you may have heard by now, Chase has tightened up the underwriting on its Ultimate Rewards-earning cards (i.e., the Freedom, Sapphire Preferred, and Ink) and will not approve you if you’ve had too many cards open recently. Doctor of Credit and Miles to Memories, among others, have reported on this new, unfortunate development. And there are some other datapoints in this Flyertalk thread if you’re so inclined. How many new credit cards is too many, you ask? The consensus is that even five new cards (both Chase and non-Chase) in two years is too much. So even if you have a credit score of 800, you can still get turned down. And it gets worse: according to the Doctor of Credit article (which you really should go read), even being added as an authorized user to another card counts against that limit of five. The Chase Sapphire Preferred is a jealous lover, it seems. A friend of mine has 3 INKs and applied for 2 more. Not only did they deny his applications, the reconsideration rep forced him to close two of his three existing cards. I’ll repeat that: the rep denied his applications and forced him to close 2 of his existing cards. 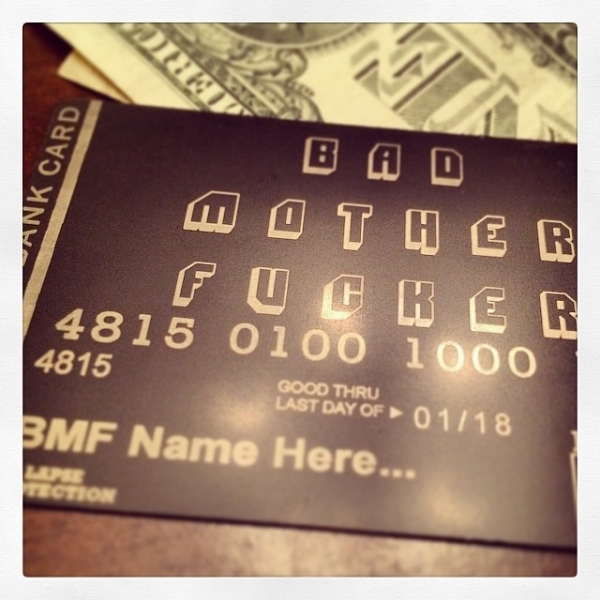 So if you’re a newcomer to the wonderful world of credit cards, things are in your favor. Just make sure you apply for your Chase Sapphire Preferred before you apply for any other cards, lest you be denied the 40,000 Ultimate Rewards Points that is rightfully yours. For the rest of us who have high credit scores and several credit cards, the new underwriting standards represent an unfortunate development in the hallowed history of the Chase Sapphire Preferred card. The Frugal Travel Guy is fond of reminding us that our credit is one of our most important assets. How are we, the citizens of the United States of America, supposed to utilize that asset if we can’t apply for more than 2 or 3 credit cards per year? Let us hope that cooler heads (by which I mean the people in the marketing department) prevail at Chase credit card headquarters. Jamie Dimon, if you’re reading this, can you help us out? It’s senseless to withhold the Chase Sapphire Preferred® card from those who need it most. I’d like to think that my children will grow up in a world where this fine card is available to all Americans, not just a privileged few. It is imperative that we put this Chase Sapphire Preferred credit score issue to rest and move forward!